Riders across the country know flags (whips) are key to riding safely off-road. But for over 40 years, while vehicles became faster, stronger and more reliable, the mounts for flags intended to prevent collisions and locate stranded riders and drivers didn’t change. After so many problems with the old way of fixing flags to our rides, we created our own. Designed to simplify the process for mounting and dismounting whips by requiring less time, no tools and no trimming of shattered ends, riders never again have to stop and pull out a knife or open a tool kit. The entire mounting process can be accomplished in 15 seconds instead of five, ten, even fifteen minutes. In the past, riders have always had to cut off broken ends to create a smooth surface. With the Wash-15 Whip Mount, riders simply unscrew the wing nut by hand, remove the mounting plate and insert the whip into the appropriately sized groove, then replace the mounting plate and tighten. A recessed area easily accommodates shattered ends without cutting whips shorter, keeping fiber glass out of rider’s gloves which can really ruin a day. And since people like options, Wash-15 Whip Mounts allow two whips to be mounted simultaneously: 1/4″ and/or 5/16″ diameters for dirt bikes and ATVs; and 5/16″ and 3/8″ diameters for while side x sides & 4x4s, trophy trucks and buggies. 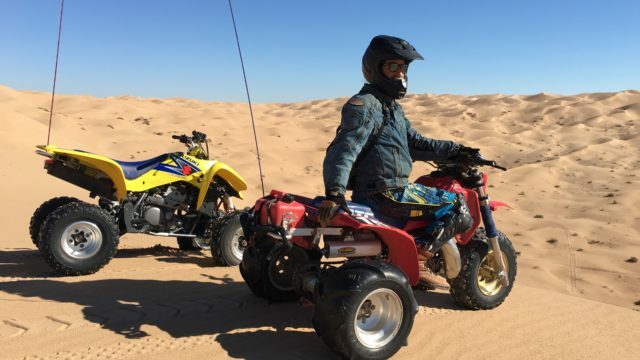 Now, riders never need to worry about what size they have, can carry a spare and clean up the dunes if they find an extra. Wash-15 Whip Mounts attach to any standard 1/2 inch receiver. We machined them out of T6 6061 billet aluminum in the United States, and guarantee they’ll last as long as you keep riding. 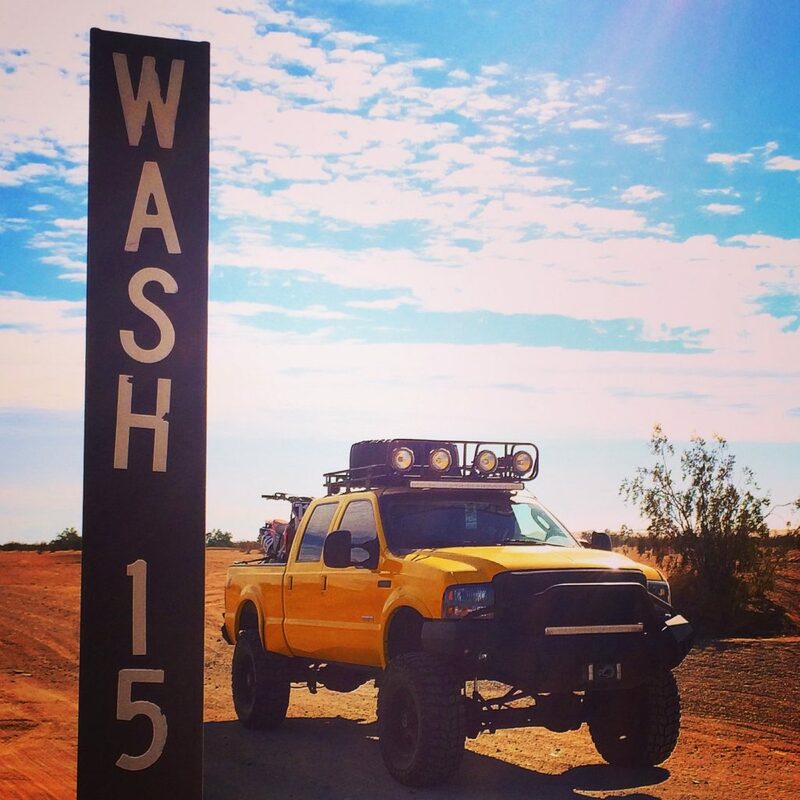 At Wash-15 we only build products that actually work for off-road enthusiasts, because we’re enthusiasts, too. We’ll see you out there. It's Not On Any Map. But You Know Where It is. From our home base at the 15th crossing on Wash Road. From California and Baja to Columbia, Dubai and beyond. Duning since '63. Over 100,000 miles on two, three and four wheels. Keeping skilled Americans working and families thriving.